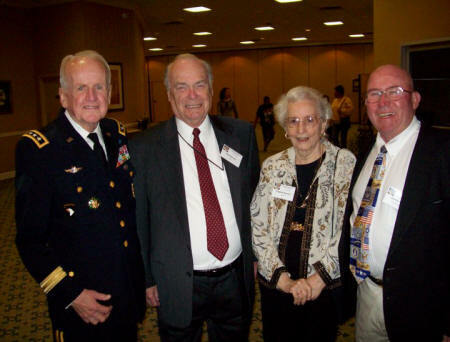 The 2010 Reunion of the 6937th Group / Peshawar Air Station was held in Lexington, KY October 9 12, 2008. 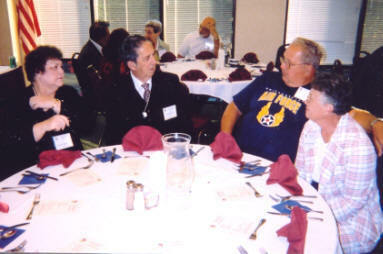 Over 40 alumni and guests were in attendance. A special thanks to hosts and organizers Dennis Mills and Carolyn Schaefer for welcoming everyone to Lexington and the beautiful state of Kentucky. 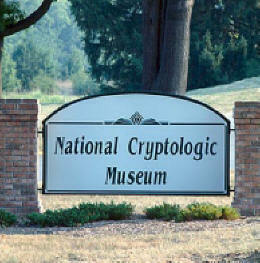 Seeking photos from any attendee of this event. 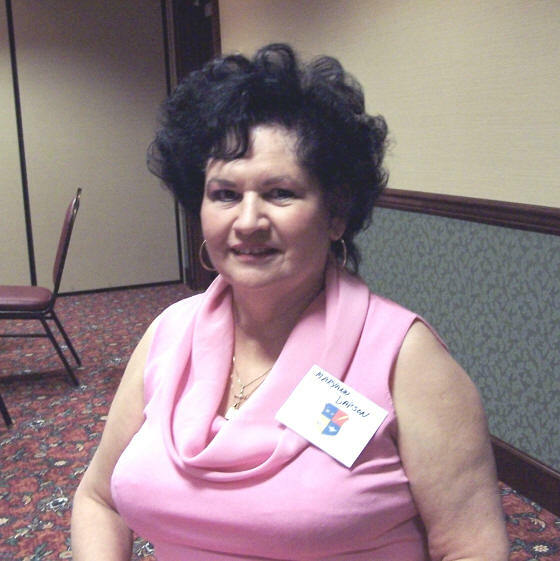 Please send to webmaster for publication to this page. 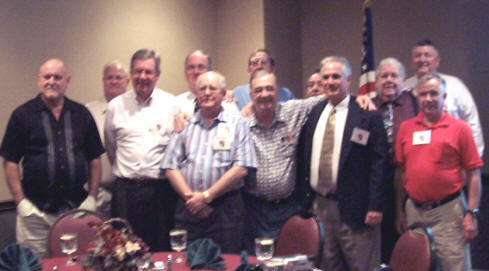 The Fifth Annual Reunion of the 6937th Group / Peshawar Air Station was held in Orlando, Florida October 9 12, 2008. 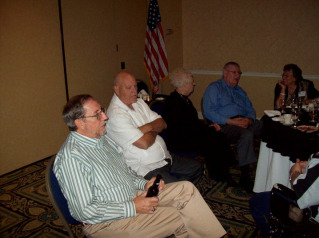 A total of 40 alumni and guests were in attendance. The weather was perfect, the accommodation outstanding and the renewed friendships and fellowships enjoyed by all made for a great weekend. 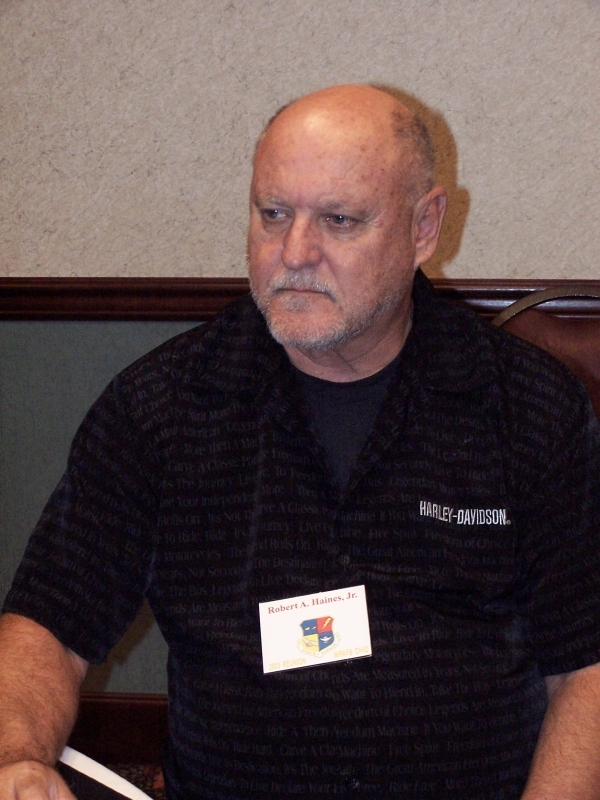 Special thanks to Dave Holliday for organizing this event. 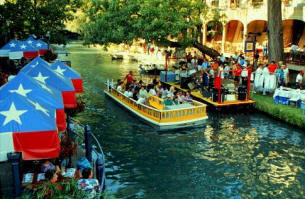 The 4th. 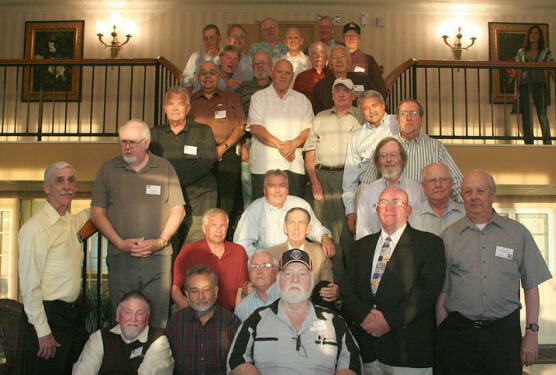 Annual Reunion of the Alumni of the 6937th Communications Group and Peshawar Air Station was held in Laurel, MD near Ft. Meade and NSA Headquarters. Side trip to the DC area were a special highlight for many in attendance. The 3rd. 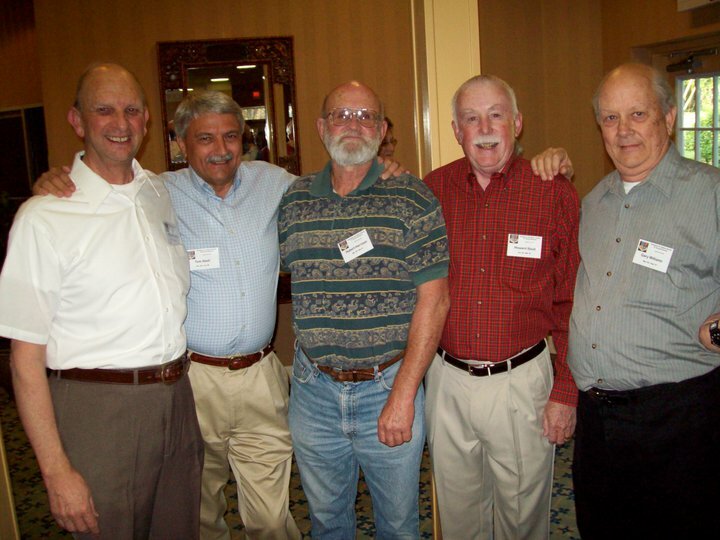 Annual Reunion of the Alumni of the 6937th Communications Group and Peshawar Air Station was held in San Antonio, TX in conjunction with the FTVA Reunion. 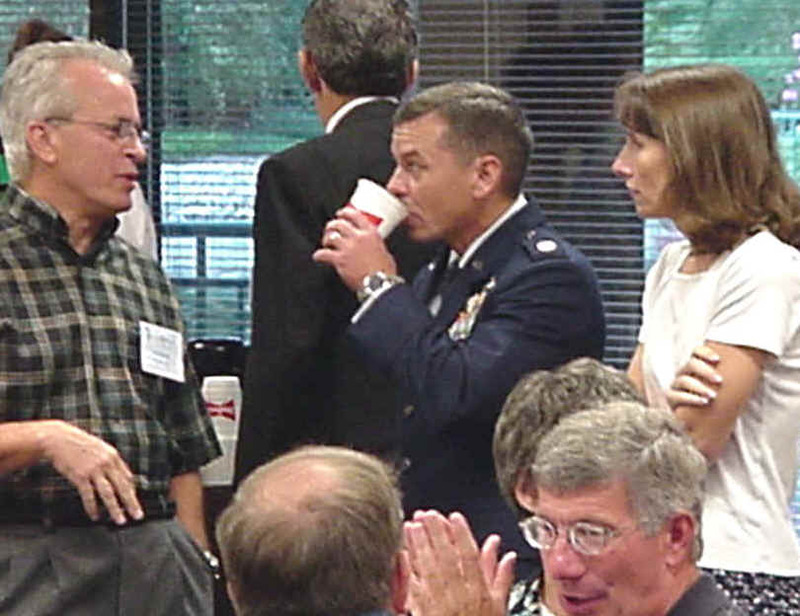 The Second Annual Reunion of the 6937th Group / Peshawar Air Station was held the weekend of Sept. 22 - 25, 2005. A small but enthusiastic group met at the Holiday Inn nearby the gates to Wright-Patterson AFB, home of the USAF Museum, in Dayton, OH. 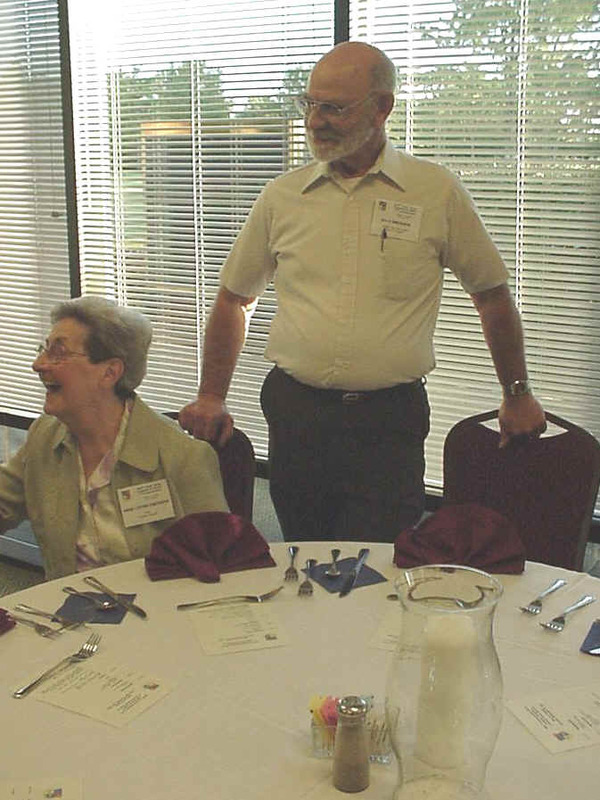 Enjoy the photos of the 2005 event. 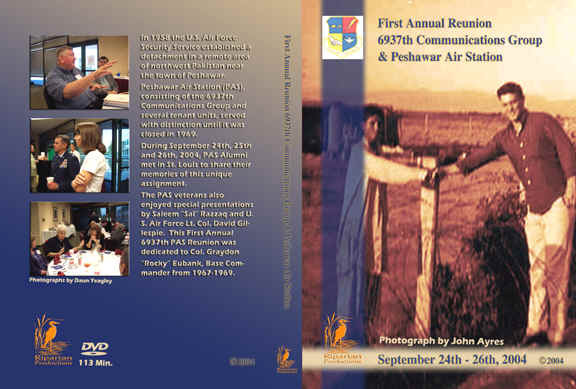 A video of the First Annual Reunion of the 6937th Communications Group and Peshawar Air Station is now available for purchase. DVD's are $23.95 and VHS duplications are $17.95. This price includes shipping in the continental U.S. 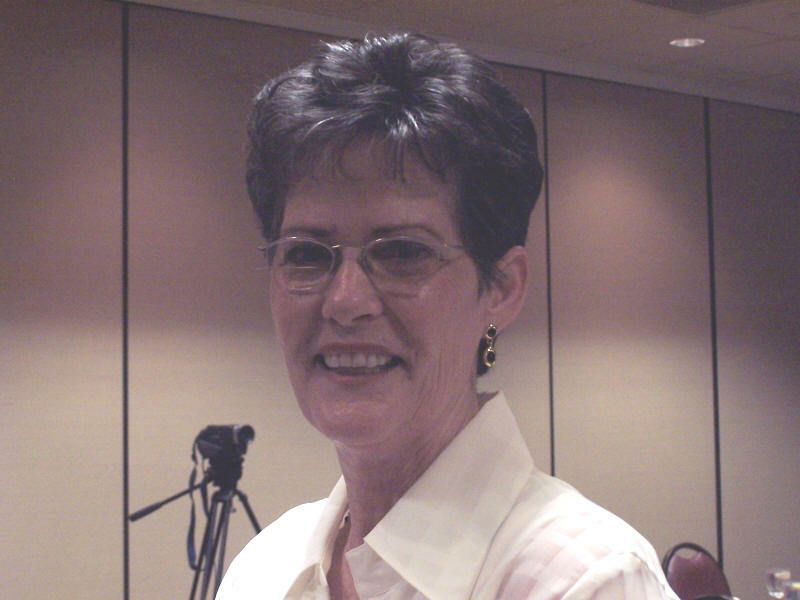 Contact PAS Alum Len Nelson for details or send your personal check to Riparian Productions, P.O. Box 482, Ilwaco, WA 98624. 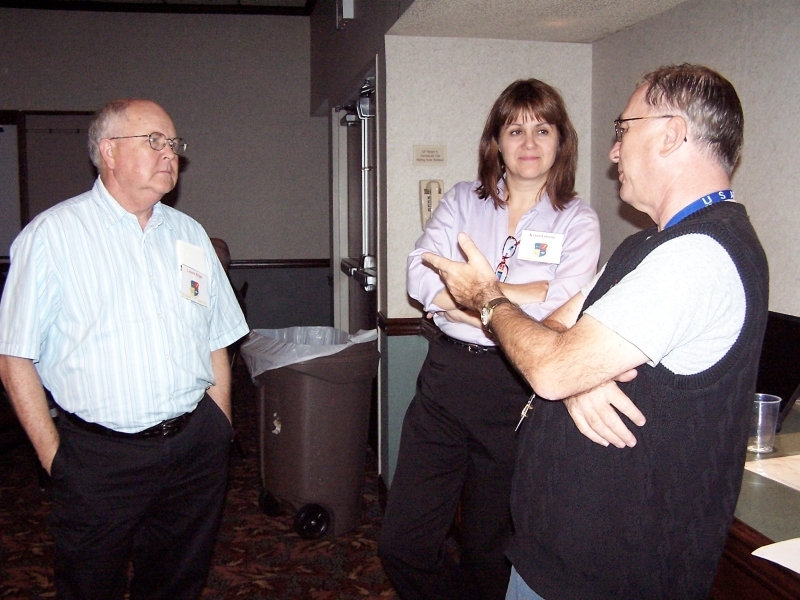 The First Annual Reunion of the 6937th Group / Peshawar Air Station was held in St. Louis, Missouri the weekend of Sept. 24 - 26, 2004. 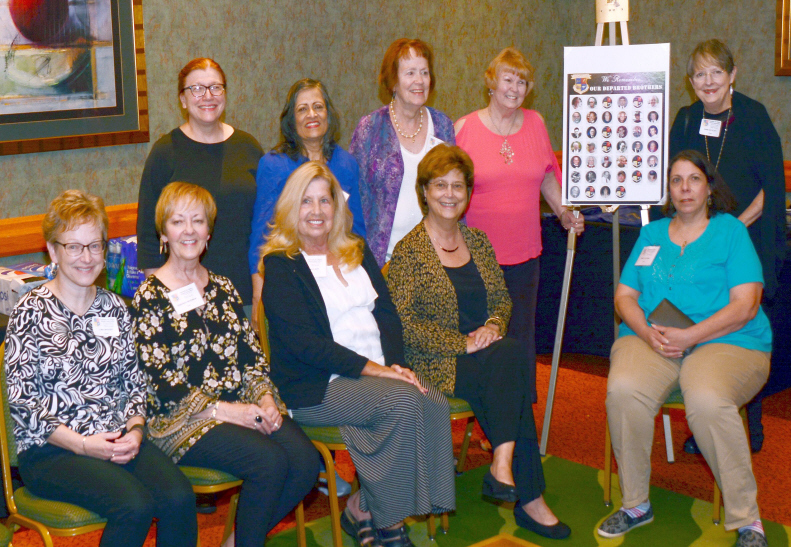 A total of 60 alumni and guests converged on St. Louis from all parts of the country. The weather was perfect, the accommodation outstanding and the renewed friendships and fellowships enjoyed by all made for a great weekend. 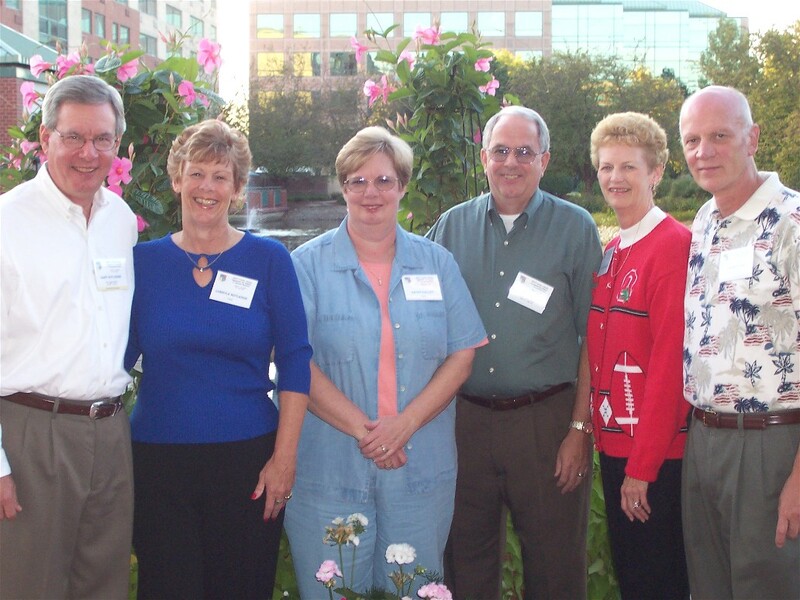 The Peshawar Air Station Alumni Association has been formed and is now planning the 2005 Reunion in Dayton, OH. 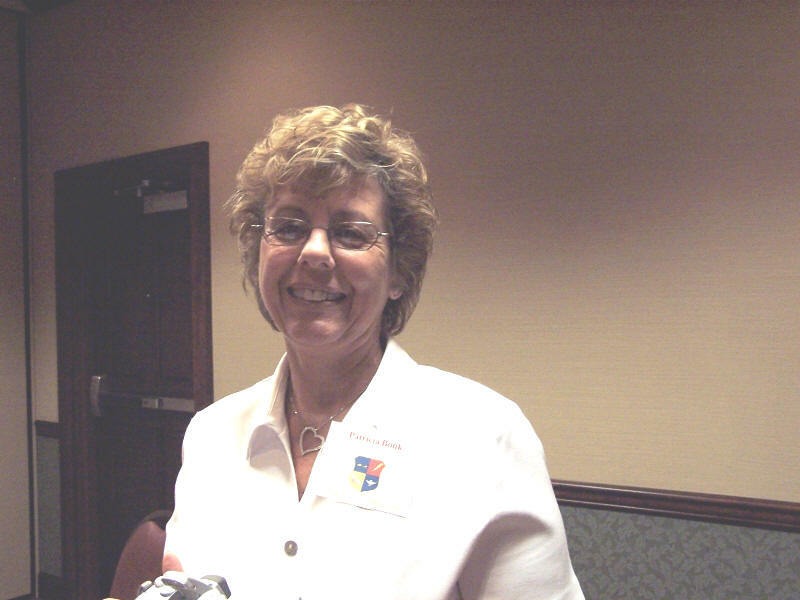 Enjoy the photos and comments below of the 2004 event. 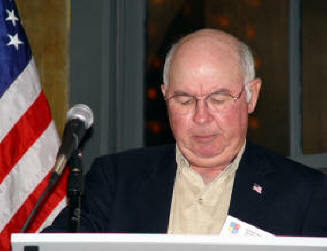 Milt Fulghum (left) opened the proceedings at the Saturday night dinner with the invocation and the Pledge. Guest speaker was Lt. Col. David L. Gillespie, Commander, AMC Air Intelligence Squadron, Scott AFB (pictured below with his wife Marsha). 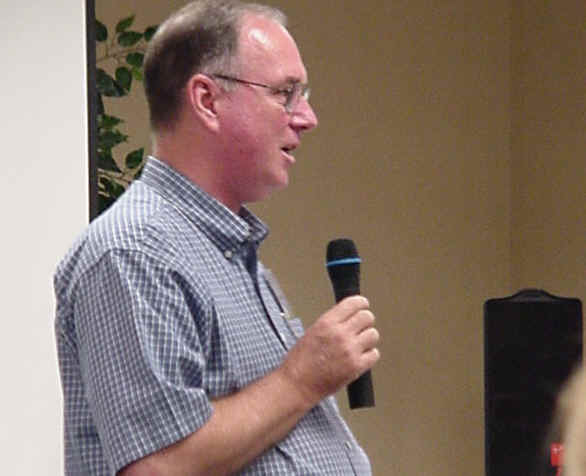 Gary Rutledge (right) served as the MC for evening. 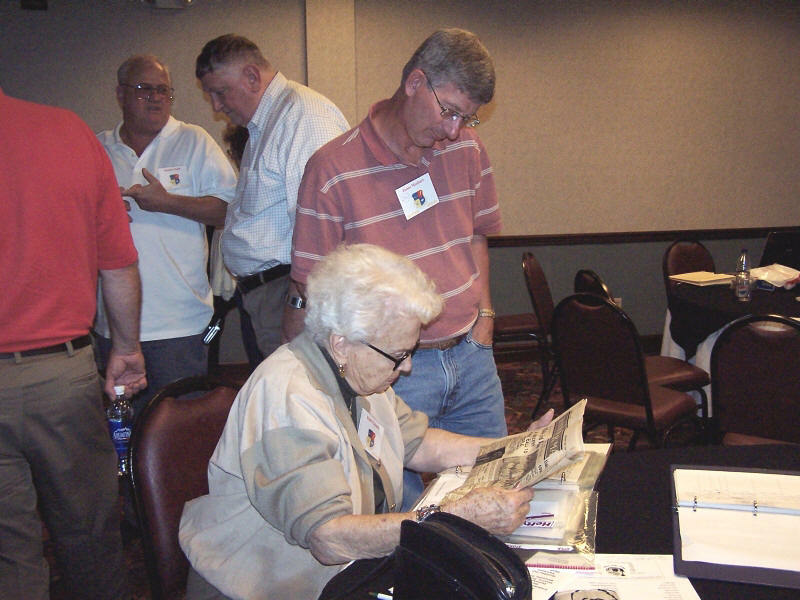 Reunion attendees began arriving in St. Louis throughout the day on Friday. 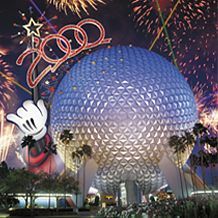 The official check-in began at 1500 Friday followed by a wine and cheese reception from 1500-2330. 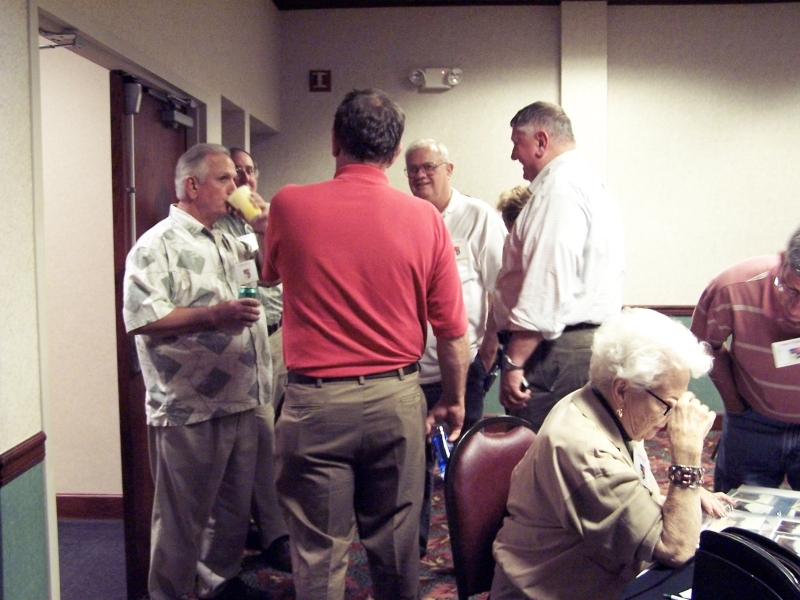 The Hospitality Suite remained open throughout the evening for late sign-in and socializing. The Reunion's General Meeting session began at 1500 on Saturday. The Peshawar Air Station Alumni Association formally organized and five board members were selected. A cash bar at 1800 announced the beginning of Saturday's Banquet Program. 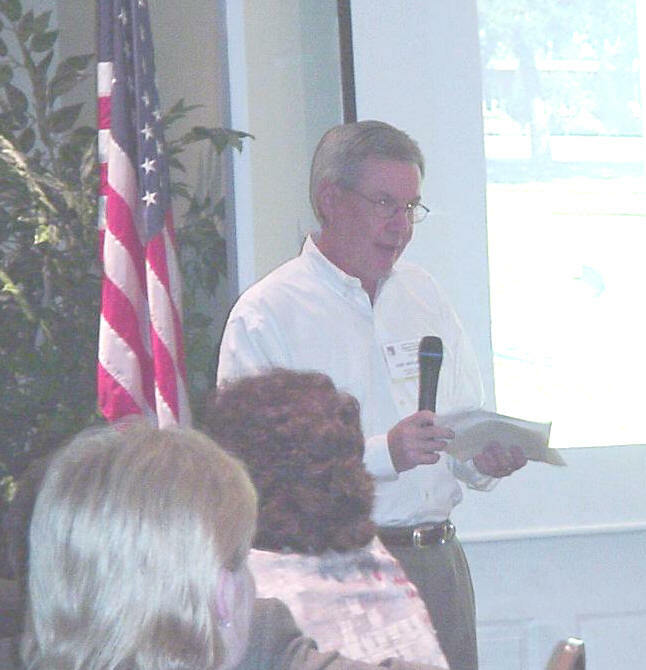 Gary Rutledge served as the MC, and in addition to guest speaker Lt. Col. Gillespie and his slide show, Saleem 'Sal" Razzaq also spoke about his experiences at PAS and how they influenced his life. Mrs. Eubank was presented with a plaque dedicating the reunion to the memory of her late husband, Col. Graydon K (Rocky) Eubank, former Base Commander at Peshawar Air Station. A great time was had by all. 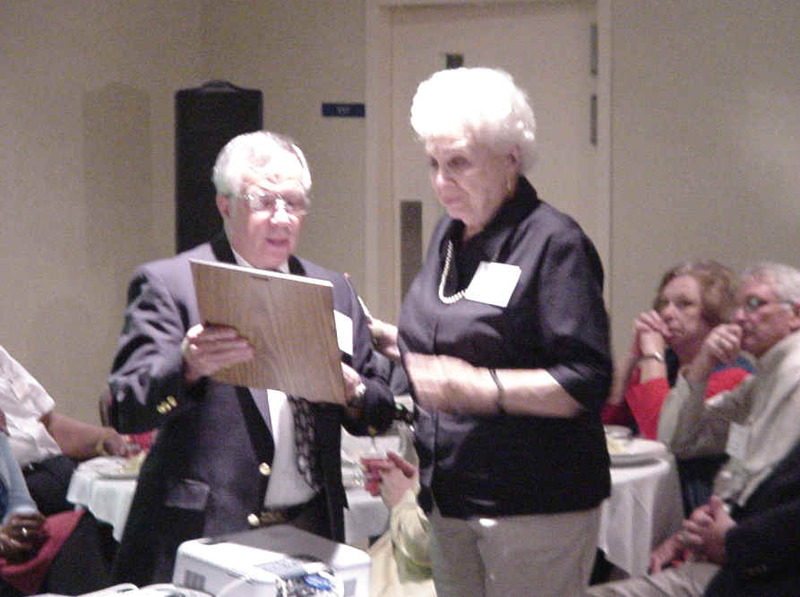 Daun Yeagley presenting Mrs. Ruth Eubank, wife of the late Col. Graydon K. (Rocky) Eubank, PAS Commander 1967-69, with a plaque commemorating his service and dedicating the reunion to his memory. 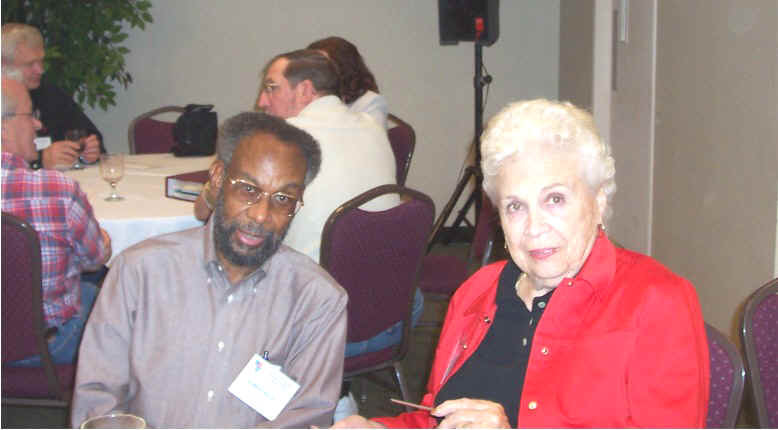 PAS Alum Robert Holtz and Mrs. Eubank share some stories about Peshawar Air Station. 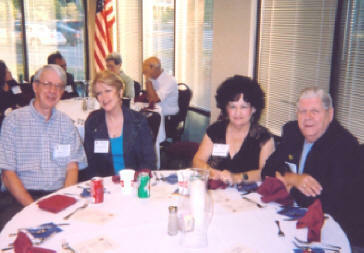 (L-R) Gary & Cheryle Rutledge, Kathy & Terry Pollitt, Marge & Don Wolford. Gary, Terry and Don also served together at the 6981st in Alaska prior to their tour at PAS. 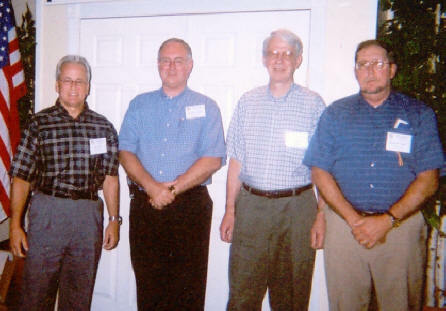 (L-R) Tom Caloia, Tim Sheehan, Dave Holliday & Alan Swain. All served together on Baker trick as 294's. Tim, Dave and Alan were member of Six Below Zero band at PAS. Left Photo - Kyle and Anna Lister Emerson. 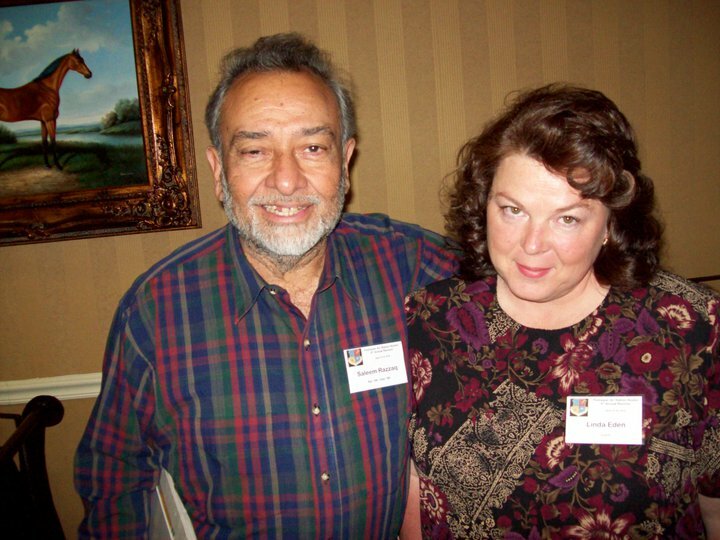 Right Photo - Saleem "Sal" Razzaq and guest, Linda Eden. 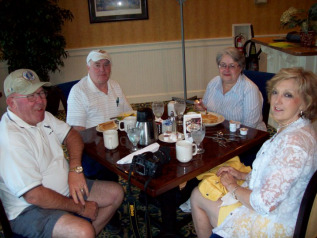 Sal, Anna and Kyle were friends at PAS and have remained in contact since. 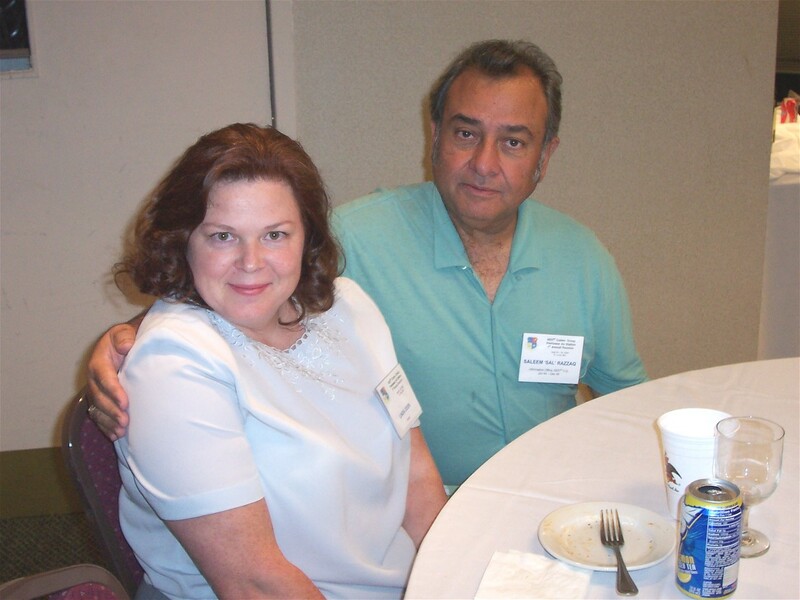 Sal was a Pakistani civilian employee in the Base Commanders Office and was the Editor of the base newspaper, "The Mystic Lamp". 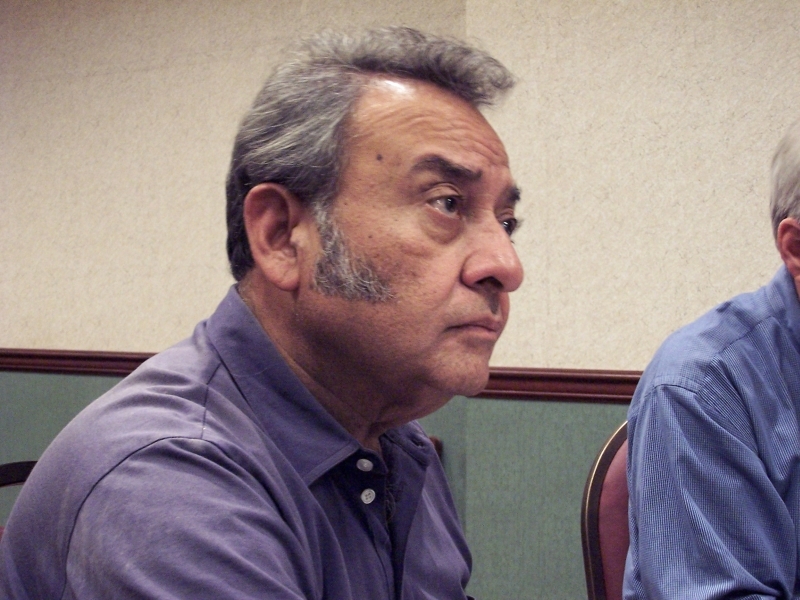 He left his home of Peshawar in 1969 and eventually settled in Michigan. 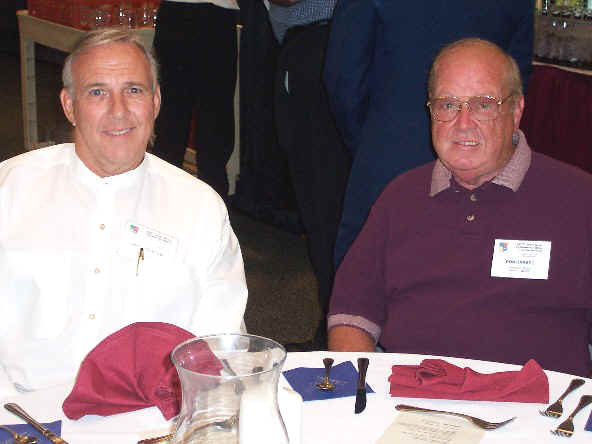 (L-R) Jeff Greenlaw and Don Barbee. Jeff and Don reunited after more than 40 years the day before the reunion and drove to St. Louis together while catching up on the past. 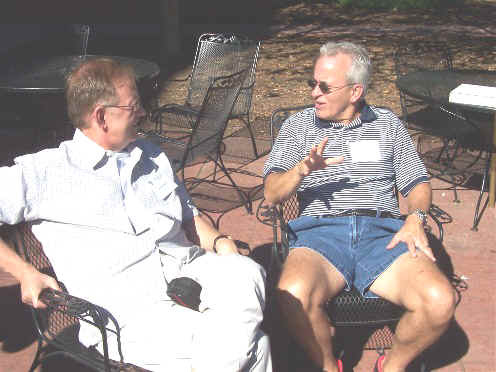 (L-R) Joe Branion (Medic, PAS Dispensary) and Mike Ross enjoying the beautiful St. Louis sunshine while talking about the good old days at Peshawar Air Station. 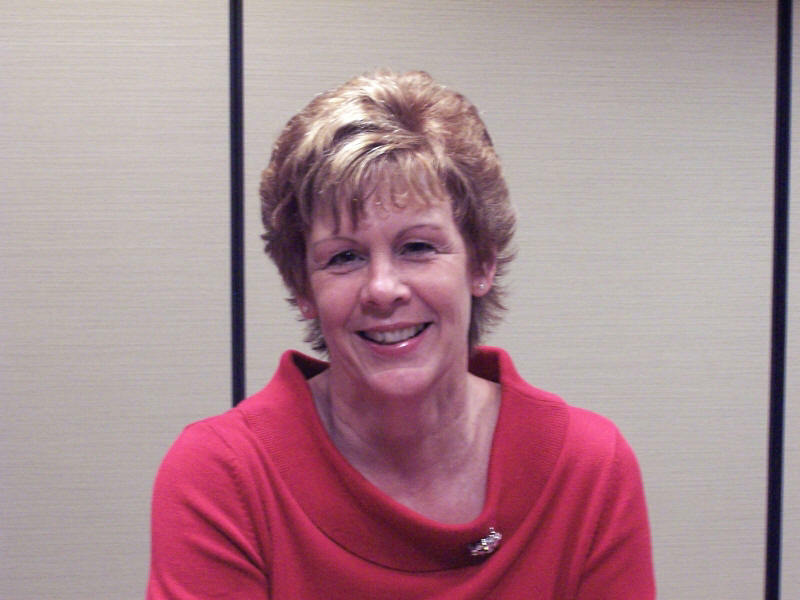 (Left Photo) Daun Yeagley (left), 2008th Comm. 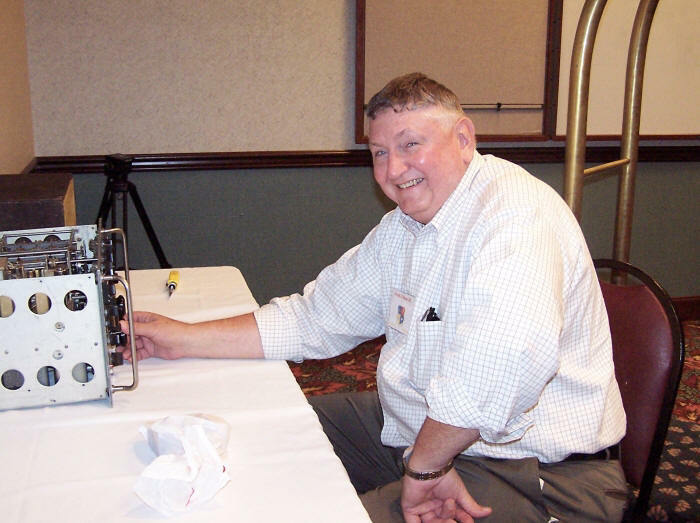 Squadron (a member of Reunion Committee) shares a moment with Rick Arnold who was part of the AFRTS team at PAS. Rick is from St. Louis and joined us for the Friday evening hospitality. 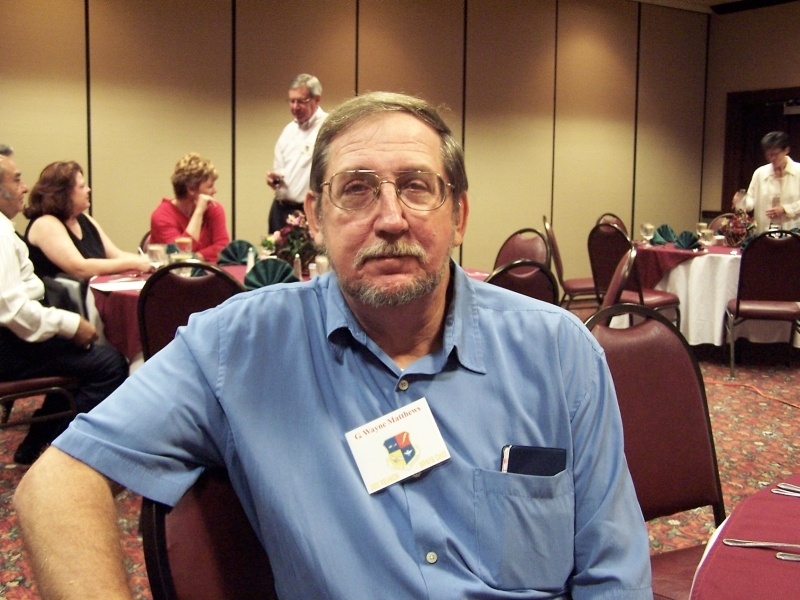 (Right Photo) PAS Alum Bob Haines reflecting and reminiscing about his days at Peshawar Air Station. 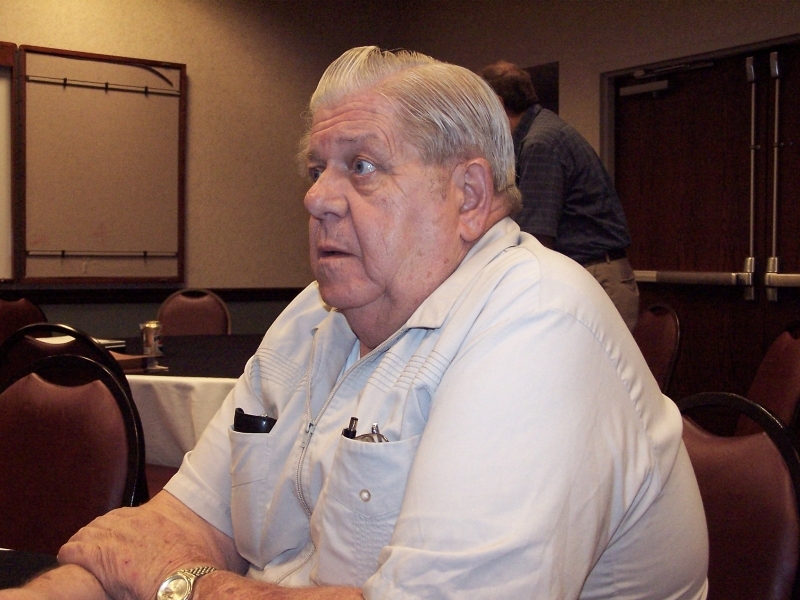 Bob was a 294 on Charlie Flight from 1964 - 65. He now resides in Florida. 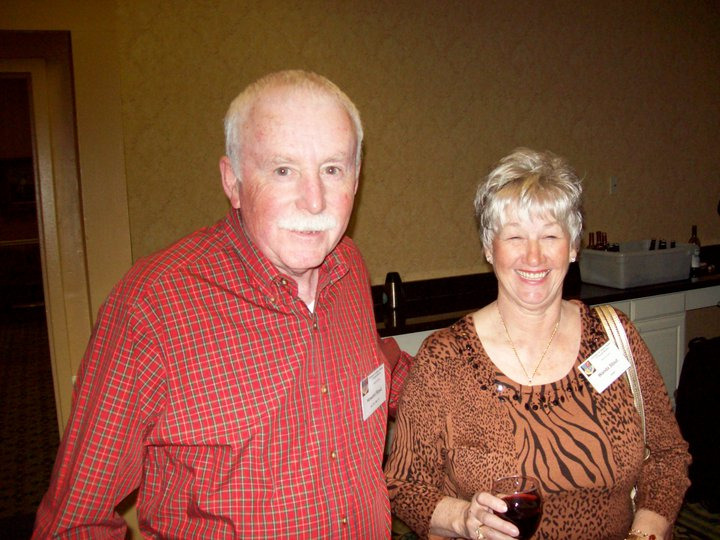 Gary Rutledge, Webmaster of this site, and his wife Cheryle. Gary and Cheryle are both originally from St. Louis and now live in Michigan. 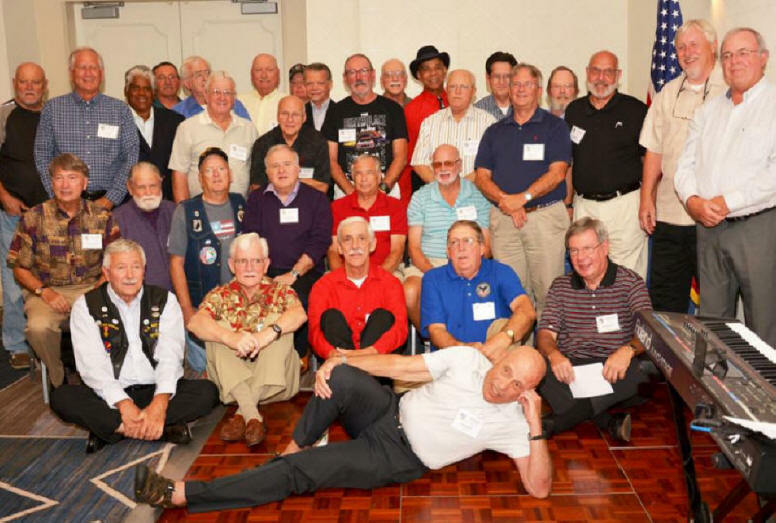 They enjoyed the opportunity to return 'home' for the PAS Reunion. 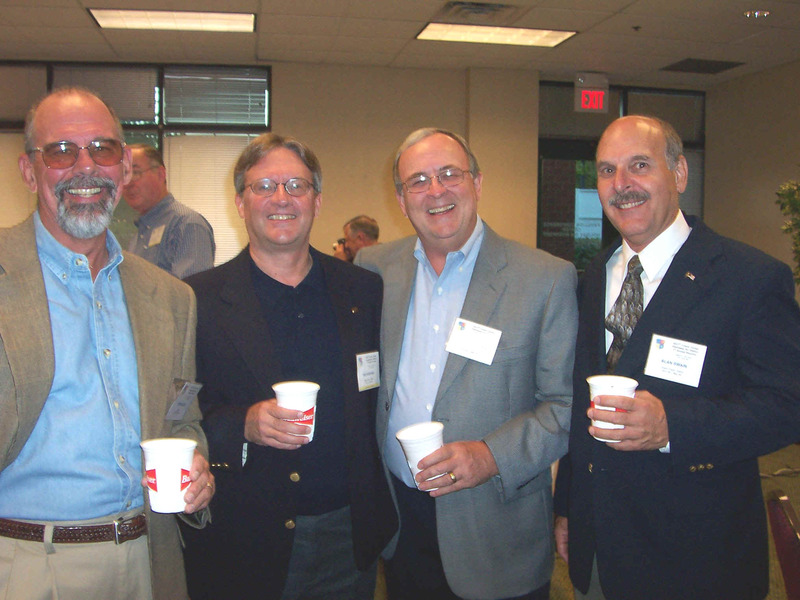 (L-R) Howard Attebery, Don Wolford and Terry Pollitt. All served together at 292x1's on Baker trick at PAS. 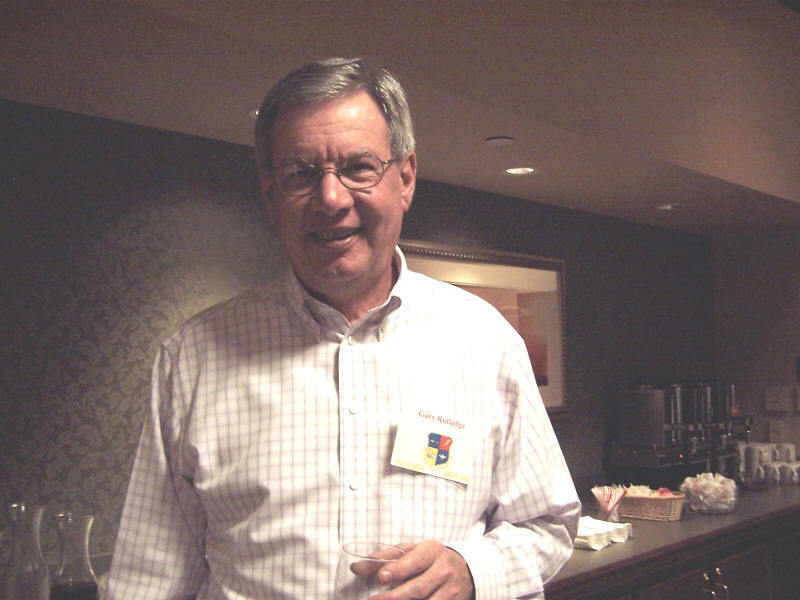 Howard joined the Friday night hospitality after Don found his listing in the St. Louis local phone book, called him on the phone, and invited him to the reunion. 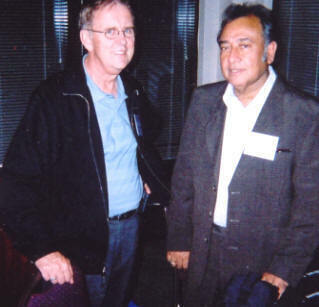 (L-R) Joe Branion and Sal (Saleem) Razzaq posing for the camera.